It’s true. He doesn’t. Thomas rather likes having a fiancée — all the better to keep the husband-hunters at bay—and he does intend to marry her…eventually. 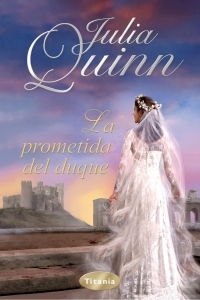 But just when he begins to realize that his bride might be something more than convenient, Thomas’s world is rocked by the arrival of his long-lost cousin, who may or may not be the true Duke of Wyndham. And if Thomas is not the duke, then he’s not engaged to Amelia. Which is the cruelest joke of all, because this arrogant and illustrious duke has made the mistake of falling in love…with his own fiancée! The Lost Duke of Wyndham and Mr. Cavendish, I Presume take place concurrently, and their plots are very closely intertwined. When I began to develop these two novels, it became clear that if I didn’t want the plot or characters of one book to be dependent upon the other, I would need to write the two books simultaneously. Many scenes occur in both books, but from different points of view. 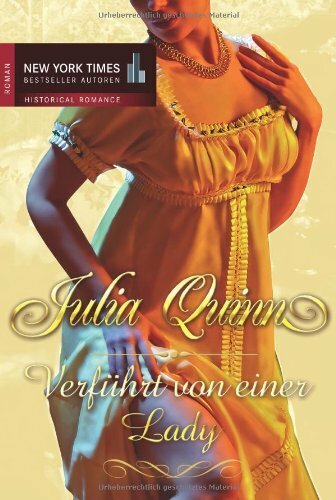 As with The Lost Duke of Wyndham, the cover was meant to evoke a romantic movie poster. I got to pick out the cover models for this one! I’ve loved the idea of the Outer Hebrides ever since I saw Barbra Streisand in What’s Up Doc? Wondering where they are? It was a crime that Amelia Willoughby was not married. At least that was what her mother said. Amelia — or more correctly, Lady Amelia — was the second daughter of the Earl of Crowland, so no one could fault her bloodlines. Her appearance was more than passable, if one’s taste ran toward wholesome English roses, which, fortunately for Amelia, most of the ton‘s did. She was also, as her mother liked to catalogue, of adequate intelligence, able to play the pianoforte and paint watercolors, and (and here was where her mother punctuated the speech with an enthusiastic flourish) in possession of all of her teeth. But all of those attributes paled next to what was certainly the most pertinent and overreaching aspect of Amelia Willoughby’s life, and that was her longstanding engagement to the Duke of Wyndham. Had Amelia not been betrothed in the cradle to Thomas Cavendish (who was at the time the Heir Apparent to the dukedom and barely out of leading strings himself), she certainly would not have reached the unappealing age of one-and-twenty as an unmarried maiden. She had spent one season back in Lincolnshire, because no one thought she’d need to bother with London, then she’d spent the next in the capital, because her elder sister’s also-betrothed-in-the-cradle fiancé had the misfortune of contracting a fever at the age of twelve, leaving his family heirless and Elizabeth Willoughby unattached. And as for the next season — Elizabeth was almost, practically, we’re-sure-it-is-forthcoming-at-any-moment engaged by then, and Amelia was, as ever, still engaged to the duke, but they went to London anyway, because by then it would have been embarrassing to remain in the country. Amelia rather liked town. She enjoyed conversation, and she very much enjoyed dancing, and, if one spoke with her mother for more than five minutes, one would have learned that had Amelia been free to marry, there would have been a half dozen offers, at least. Which meant that Jacinda Lennox would still have been Jacinda Lennox and not the Marchioness of Beresford. And more importantly, Lady Crowland and all of her daughters would still outrank the annoying little chit. But then, as Amelia’s father was often heard to say — life wasn’t always fair. In fact, it rarely was. Just look at him, for the love of heaven. Five daughters. Five! And now the earldom, which had descended neatly from father to son since there were princes in the tower, would revert to the crown, with nary a long-lost cousin in sight to lay claim upon it. And, he frequently reminded his wife, it was thanks to his early maneuverings that one of his five daughters was already settled, and they need only fret about the other four, so would she please stop yammering on about the poor Duke of Wyndham and his slow progress to the altar. Lord Crowland treasured peace and quiet above all else, which was something he really ought to have considered before taking the former Anthea Grantham as his bride. It wasn’t that anyone thought that the duke would renege on his promise to Amelia and her family. On the contrary, it was well-known that the Duke of Wyndham was a man of his word, and if he said he would marry Amelia Willoughby, then as God was anyone’s witness, he would. It was just that he intended to do so when it was convenient to him. Which wasn’t necessarily when it would be convenient to her. Or more to the point, her mother. And so here she was, back in Lincolnshire. And she was still Lady Amelia Willoughby. “And I don’t mind it at all,” she declared, when Grace Eversleigh brought up the matter at the Lincolnshire Dance and Assembly. Aside from being the closest friend of Amelia’s sister Elizabeth, Grace Eversleigh was the companion to the dowager Duchess of Wyndham, and thus in far closer contact with Amelia’s affianced husband than Amelia ever had occasion to be. Well, that’s certainly lovely, but I shouldn’t read anything into it, and in any case Elizabeth’s wedding is next month so I certainly could not dream of finalizing anything anytime soon, and regardless of what anyone says, I am in no great rush to marry him. Something something something. I barely know the man. Something something more, still Amelia Willoughby. And I don’t mind at all. Which was not the sort of speech one generally wished to relive in one’s head. “He did?” Amelia asked, her eyes flying to Grace’s. Amelia felt the corners of her mouth tighten. Not in anger. Not even in irritation. It was resignation, really, more than anything else. “I suppose the dowager pestered him about me,” she said. Which was to be expected.  It was well-known that the dowager Duchess of Wyndham was even more eager to see the marriage take place than Amelia’s own mother. It was also well-known that the duke found his grandmother vexing at best, and Amelia was not at all surprised that he would agree to attend the assembly just to get her to leave him alone. The duke would arrive, everyone would look at him, then everyone would look at her, and then he would approach, they would share several minutes of awkward conversation, he would ask her to dance, she would accept, and when they were done, he would kiss her hand and depart. Presumably to seek the attentions of another woman. A different kind of woman. The sort one did not marry. No. Not when the gentleman in question had been betrothed as a child. It was not fair to expect him to forgo all of the entertainments in which his friends partook, just because his father had signed a contract a few decades years earlier. Once the date was set, however, that was a different story. Or rather, it would be, if the Willoughbys ever managed to get Wyndham to set a date. “You don’t appear to be terribly excited to see him,” Elizabeth remarked. Amelia knew that Grace meant well, but somehow this failed to reassure her. It wasn’t that she was jealous. She was quite certain she was not in love with Wyndham. How could she be? She rarely had occasion to exchange more than two words with the man. Still, it was still rather unsettling that Grace Eversleigh had come to know him so well. And she could not tell this to Elizabeth, in whom she usually confided everything. Elizabeth and Grace had been fast friends since they’d met at the age of six. Elizabeth would tell her that she was being silly. Or she’d give her one of those dreadful looks that were meant to be sympathetic but instead came out as pitying. Amelia seemed to be on the receiving end of many of these glances these days. Usually whenever the topic of marriage arose. Had she been a betting woman (which she actually thought she might be, should she ever be given the opportunity to try) she would have wagered that she had received sym-pitying looks from at least half the young ladies of the ton. And all of their mothers. “Grace, don’t, please…” Amelia said, flushing. Good Lord, how mortifying. To be a project. “You are going to have to get to know him eventually,” Elizabeth said. “I couldn’t very well borrow a pianoforte,” Elizabeth retorted. It was Amelia’s opinion that their mother wasn’t much of a musician, either, but there seemed little reason to point it out, and besides, the conversation had been brought to an abrupt halt. Amelia might have had her back to the door, but she knew precisely the moment Thomas Cavendish walked into the assembly hall, because, drat it all, she had done this before. And now — she counted to five; she’d long since learned that dukes required more than the average three seconds of hush — were the whispers. And now Elizabeth was jabbing her in the ribs, as if she needed the alert. She composed her face. She turned around. “Your grace,” she said, with the blank smile she knew was required of her. He said that every time. He smiled, and Amelia noted it was not the same sort of public-face smile he gave her. It was, she realized, a smile of friendship. “You are nothing less than a saint, Miss Eversleigh,” he said. Amelia looked to the duke, and then to Grace, and wondered — What was he thinking? It was not as if Grace had any choice in the matter. If he really thought Grace was a saint, he ought to set her up with a dowry and find her a husband so she did not have to spend the rest of her life waiting hand and foot upon his grandmother. But of course she did not say that. Because no one said such things to a duke. “Grace tells us that you plan to rusticate in the country for several months,” Elizabeth said. Amelia wanted to kick her. The implication had to be that if he had time to remain in the country, he must have time to finally marry her sister.  “I shall be quite busy until November at the earliest,” Amelia blurted out, because it was suddenly imperative that he realize that she was not spending her days sitting by her window, pecking at needlework as she pined for his arrival. Elizabeth and Grace turned to her, both of them smiling serenely with expectation. They had played out this scene before, all of them. And they all knew how it was meant to unfold. “No,” she said, before she could think the better of it. “No, thank you, I should say.” And she smiled prettily, because she did like to be polite. “Not tonight, I don’t think, no.” Amelia stole a glance at her sister and Grace. They looked aghast. She felt like herself, which was something she was never allowed to feel in his presence. Or in the anticipation of his presence. Or the aftermath. It was always about him. 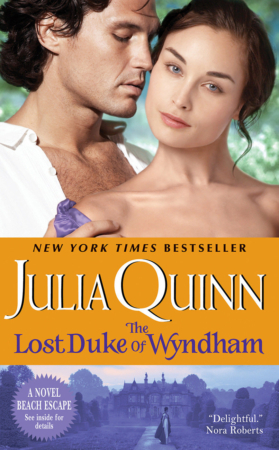 Wyndham this and Wyndham that, and oh how lucky she was to have snagged the most handsome duke in the land without even having to lift a finger. That had been Jacinda Lennox’s mother, three weeks before Jacinda had received her shower of marriage proposals. Well, this wasn’t London, and her mother wasn’t watching, and she was just so sick of the way he kept her on a leash. Really, she could have found someone else by now. She could have had fun. She could have kissed a man. Oh, very well, not that. She wasn’t an idiot, and she did value her reputation. But she might have imagined it, which she’d certainly never bothered to do before. “But I wish to dance with you,” he ground out. She wanted to skip. In fact, she did. But only once she’d turned the corner. Thomas Cavendish liked to think himself a reasonable man, especially since his lofty position as the seventh Duke of Wyndham would have allowed him any number of unreasonable demands. He could have gone stark raving mad, dressed all in pink, and declared the world a triangle, and the ton would still have bowed and scraped and hung on his every word. His own father, the sixth Duke of Wyndham, had not gone stark raving mad, nor had he dressed all in pink or declared the world a triangle, but he had certainly been a most unreasonable man. It was for that reason that Thomas most prided himself upon the evenness of his temper, the sanctity of his word, and, although he did not choose to reveal this side of his personality to many, his ability to find humor in the absurd. And this was definitely absurd. But as news of Lady Amelia’s departure from the assembly spread through the hall, and head after head swiveled in his direction, Thomas began to realize the line between humor and fury was not so very much more substantial than the edge of a knife. Lady Elizabeth was gazing upon him with a fair dose of horror, as if he might turn into an ogre and tear someone from limb to limb. And Grace — drat the little minx — looked as if she might burst out laughing at any moment. She stared at him mutely. Still nothing. Good Lord, were they even educating females these days? “I wouldn’t call it ‘direct,’ ” Elizabeth finally choked out. He stared at her for a moment longer than was comfortable (for her; he was perfectly at ease with it), then turned to Grace, who was, he had long since realized, one of the only people in the world upon whom he might rely for complete honesty. His brows rose a fraction of an inch as he pondered where the dratted female might have gone off to. She couldn’t actually leave the assembly; the front doors spilled right onto the main street in Stamford — certainly not an appropriate spot for an unescorted female. In the back there was a small garden. Thomas had never had occasion to inspect it personally, but he was told that many a marriage had been proposed in its leafy confines. Proposed being something of a euphemism. Most proposals occurred in a rather more complete state of attire than those that came about in the back garden of the Lincolnshire Dance and Assembly Hall. But Thomas didn’t much worry about being caught alone with Lady Amelia Willoughby. He was already shackled to the chit, wasn’t he? And he could not put off the wedding very longer. He had informed her parents that they would wait until she was one-and-twenty, and surely she had to reach that age soon. Grace stared at him with amusement. Elizabeth looked somewhat green. “But then it would look as if I cared,” he continued. “Oh, I think the scene was already made'” Grace murmured, giving him an arch look. “Much as I’ve been tempted,” Thomas added. Which they both knew was untrue. Thomas would have laid himself prostrate at her feet if necessary, just to get her to remain in his grandmother’s employ. Luckily for him, Grace showed no inclination to leave. Still, he would have done it. And tripled her salary at the same time. Every minute Grace spent in his grandmother’s company was a minute he didn’t have to, and truly, one could not put a price on something such as that. But that was not the matter at hand. His grandmother was safely ensconced in the next room with her band of cronies, and he had every intention of being in and out of the assembly without their having to share a single word of conversation. His fiancée, however, was another story entirely. “I do believe I shall allow her her moment of triumph,” he said, coming to this decision as the words crossed his lips. He felt no need to demonstrate his authority — really, could there be any question of it? — and he did not particularly relish the idea that the good people of Lincolnshire might imagine he was besotted with his fiancée. Thomas did not do infatuation. “That’s very generous of you, I must say,” Grace remarked, her smile most irritating. Elizabeth’s eyes widened, and he thought he heard her breathe, but other than that, she remained mute. A wordless female. Maybe he should marry that one. “Do you depart, then?” Grace asked. He would have returned her sarcasm in kind, but before he could do so, he spied a head — or rather, a part of a head — peeking out from behind the curtain that separated the assembly hall and the side corridor. Lady Amelia. She had not gone so far afield after all. “I came to dance,” he announced. “You loathe dancing,” Grace said. “I can find my sister,” Elizabeth said quickly. Thomas signaled to the small band of musicians at the front of the room. They immediately lifted their instruments. “There is Elizabeth,” she said as he led her to the center of the floor. “Surely you jest,” he murmured. Lady Elizabeth Willoughby’s skin had not recovered any of the color that had drained from it when her sister turned her back and left the room. The exertions from dancing would probably lead her to swoon. Besides, Elizabeth would not suit his purposes. He glanced up at Amelia. To his surprise, she did not dart immediately behind the curtain. He smiled. Just a little. And then — it was most satisfying — he saw her gasp. She ducked behind the curtain after that, but he was not concerned. She’d be watching the dance. Every last step of it. 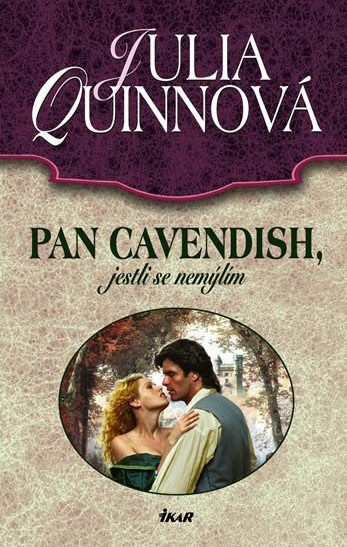 Mr. Cavendish, I Presume was a finalist in the 2003 RITA Awards in the Regency Romance category.  The RITAs are awarded by Romance Writers of America and are the highest honor in romance writing. 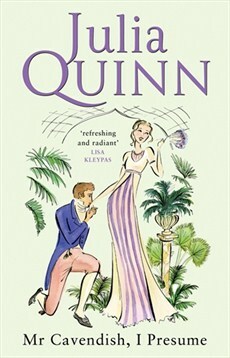 The eventual winner was My Lord and Spymaster by Joanna Bourne. 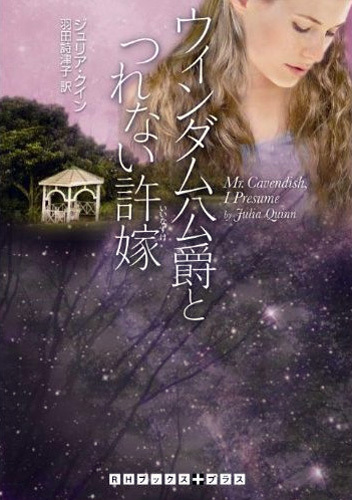 Mr. Cavendish, I Presume was named one of the Ten Best Romances of 2008 by the editors at Amazon.com. 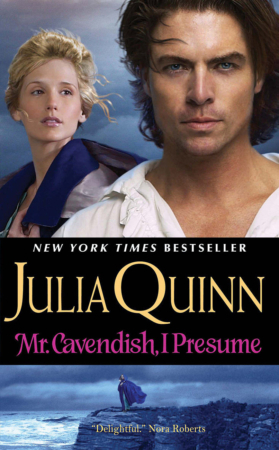 On October 19, 2008, Mr. Cavendish, I Presume debuted at the top of the New York Times bestseller list. NUMBER 1! Four weeks on the USA Today bestseller list.